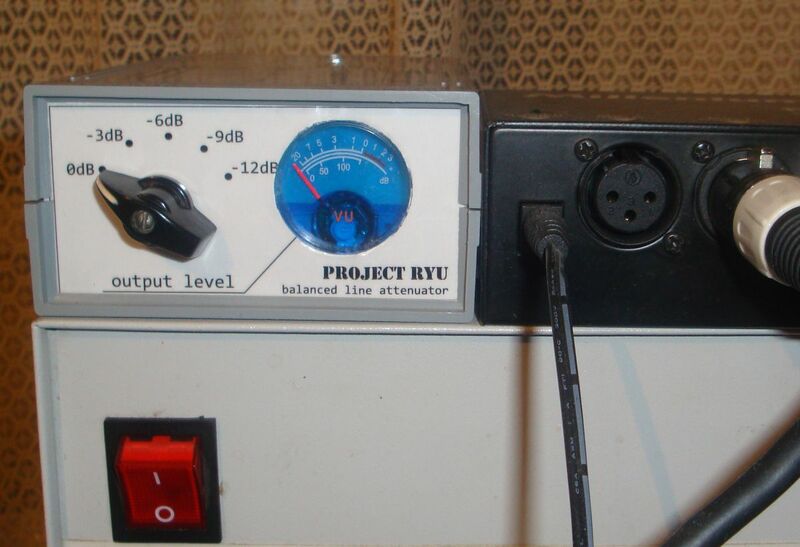 In a home recording environment equipment often doesn’t come in a large variety because of either limited budget or limited space… or both. 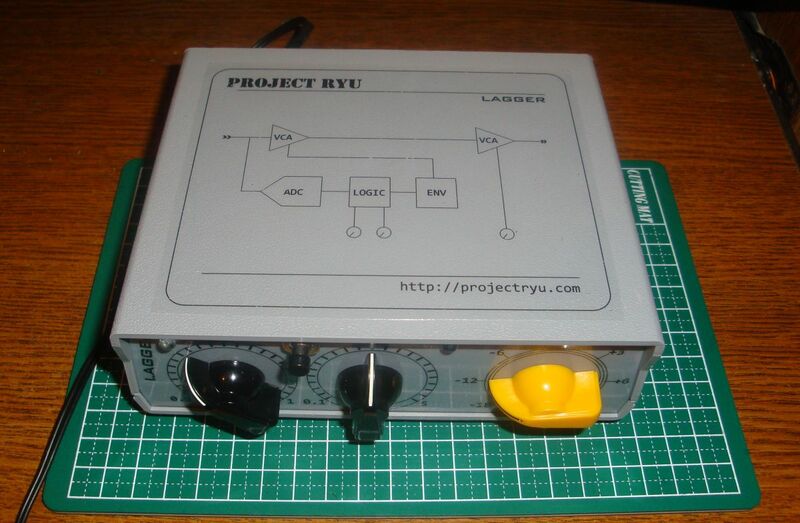 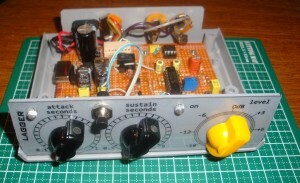 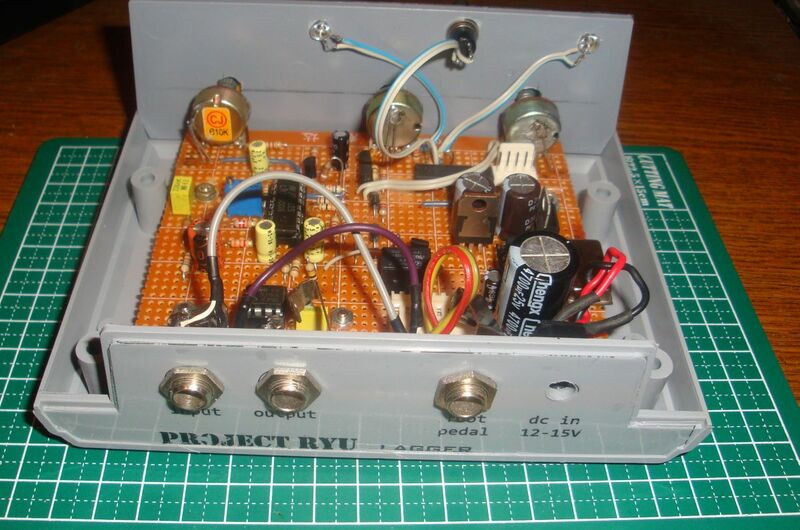 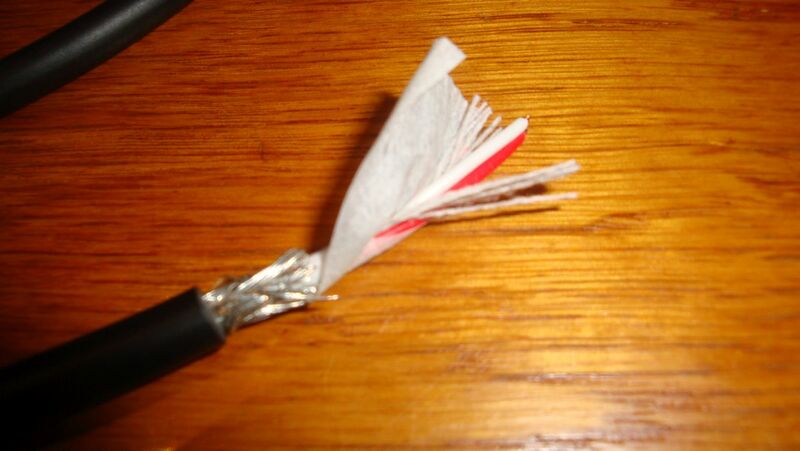 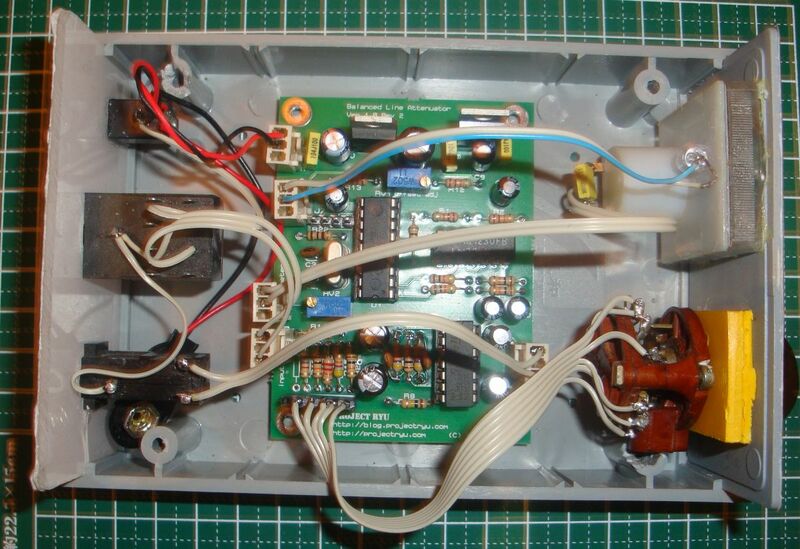 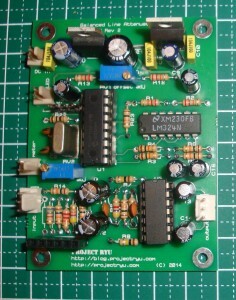 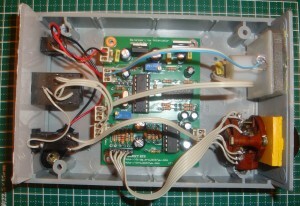 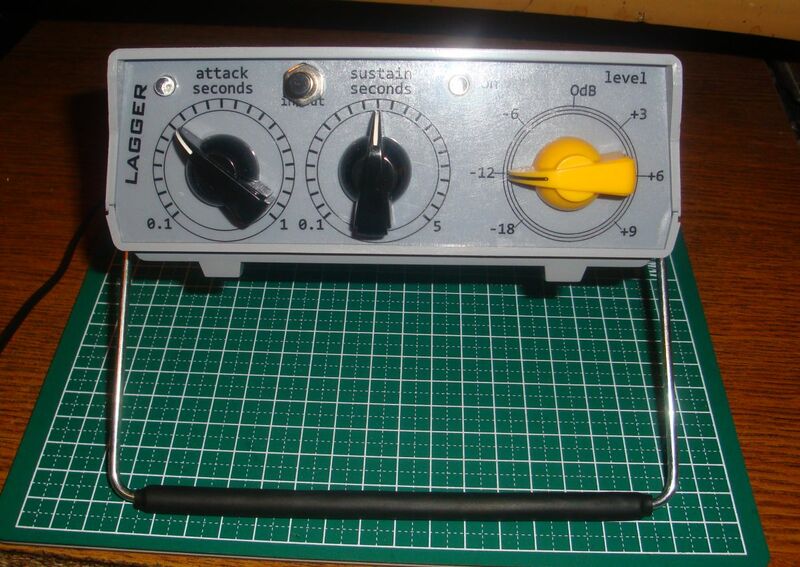 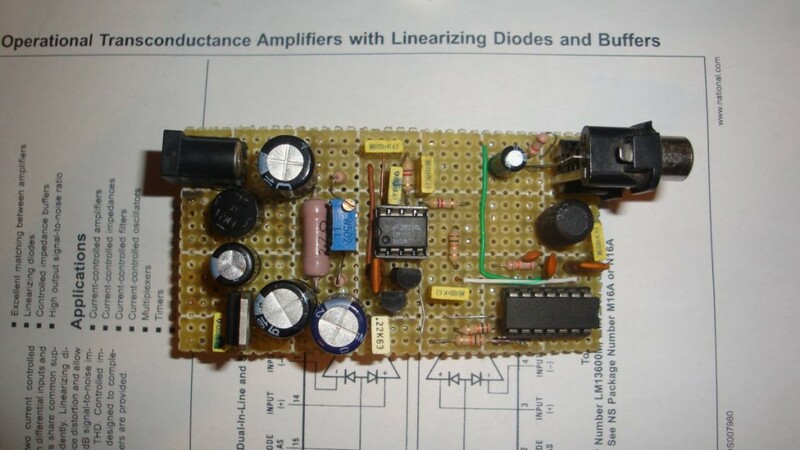 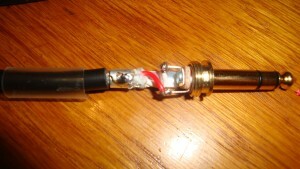 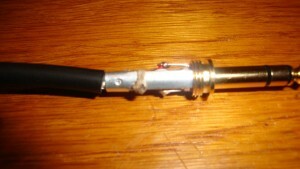 I am presenting here an balanced attenuator which comes in between fixed gain preamp and recording device/soundcard. 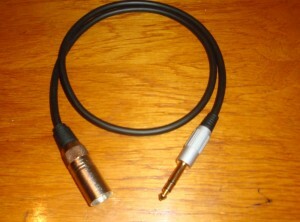 The purpose of this device is to adjust the level and monitor it to prevent saturation of the next stage in the recording chain. 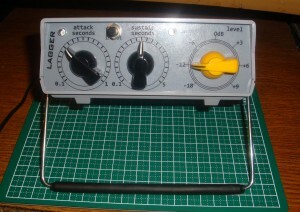 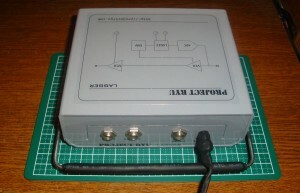 It uses a L-pad followed by a balanced buffer stage. 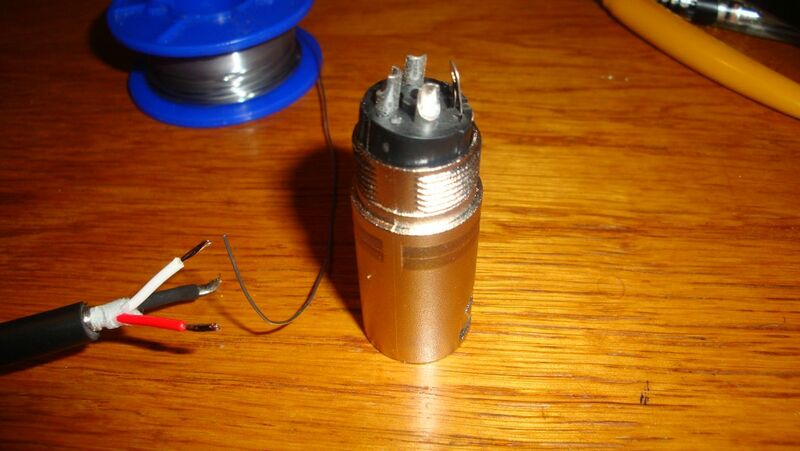 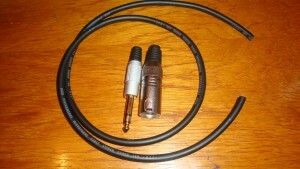 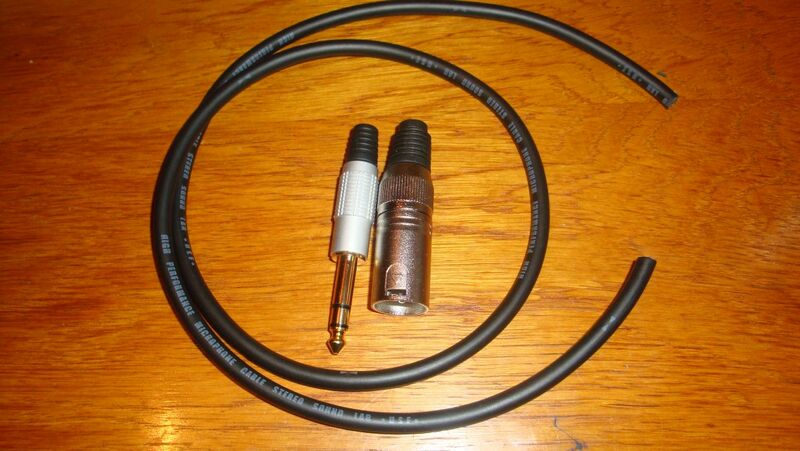 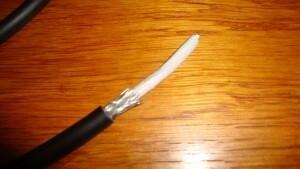 The attenuation steps are 0dB, -3dB, -6dB, -9dB and -12dB. 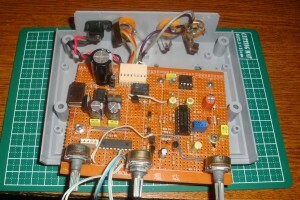 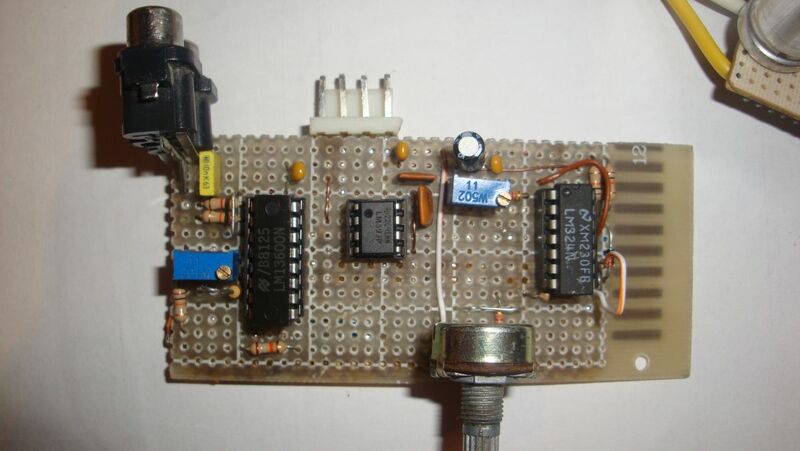 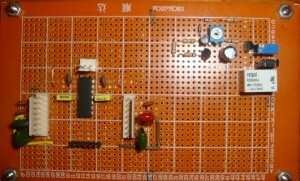 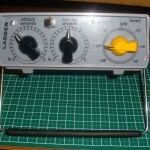 The meter section uses a microcontroller with a 10 bit ADC. 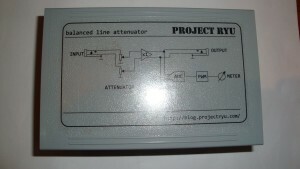 It monitors both polarities of the signal and detects the peak within a frame of 1000 samples. 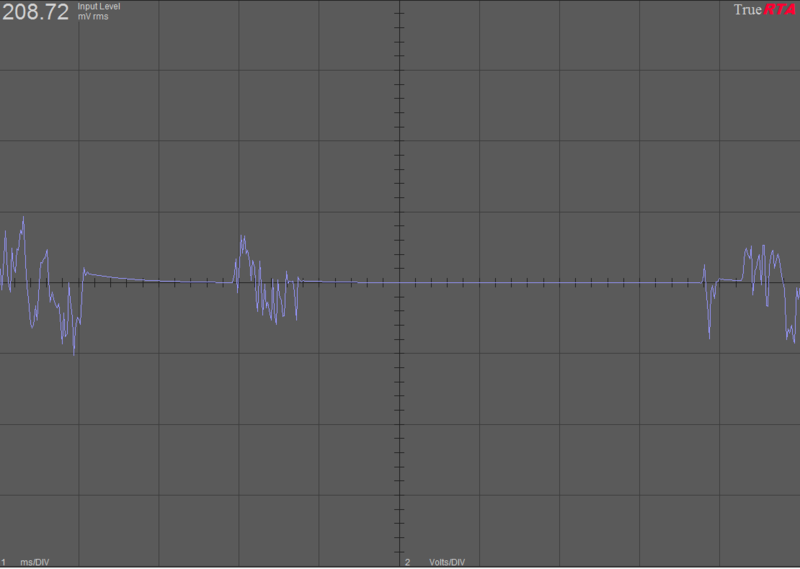 ADCs samples the signal every 12us. 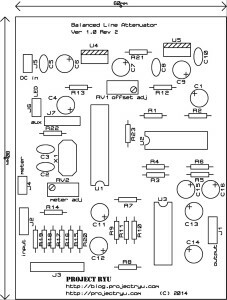 In the schematics above J7 will be used later on future revisions to indicate symmetry in the balanced signal. 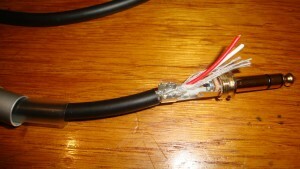 J3 will connect the attenuation selector. 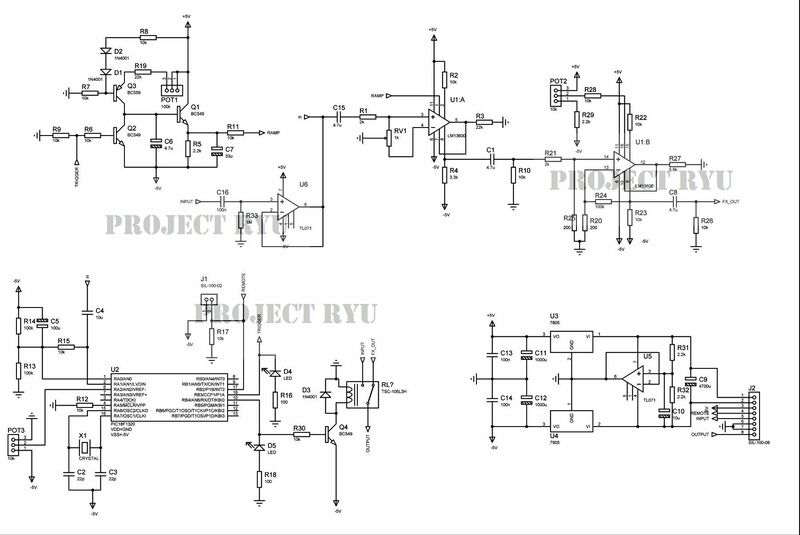 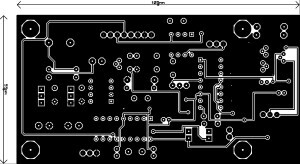 There are certain modifications i did the initial schematic tho. R7, R8 must be of greater value. 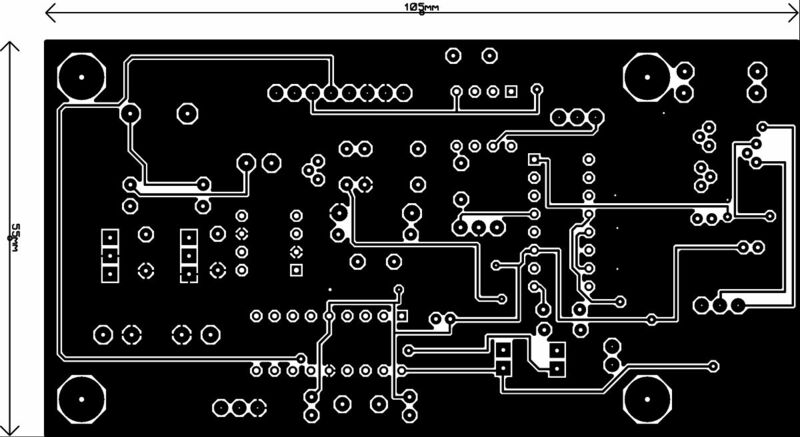 At least 100k. 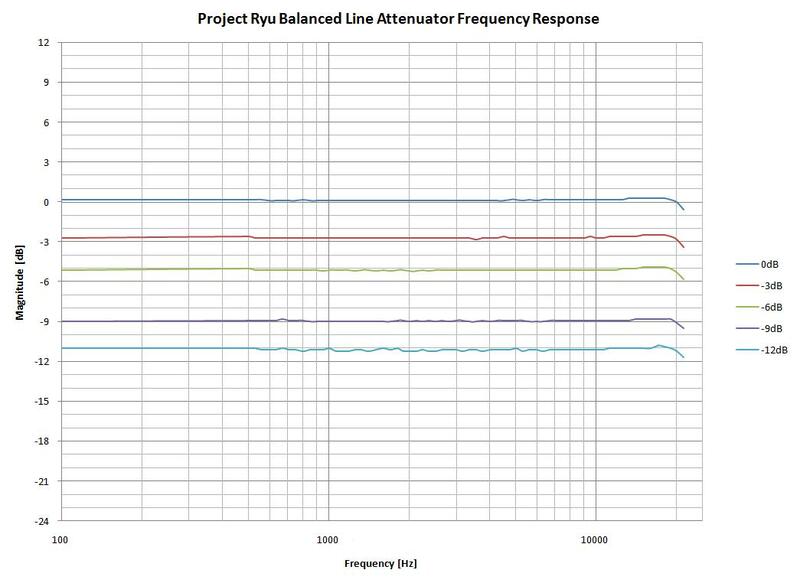 With 100k you will get a -0.8dB signal at 0 dB setting. 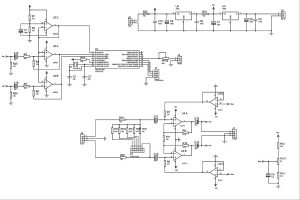 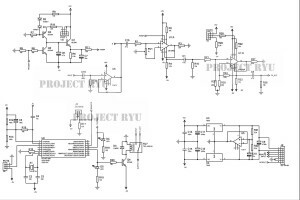 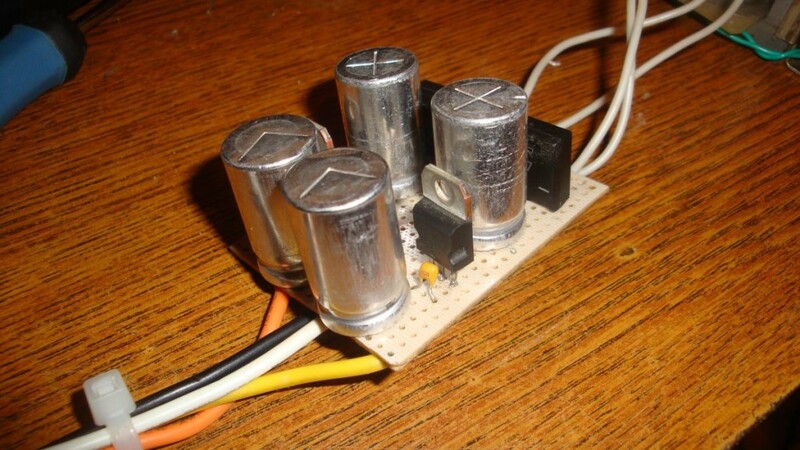 The circuit is pretty straightforward, you can use any quad opamp chip for U3 as long at it operates from a 9V single supply. 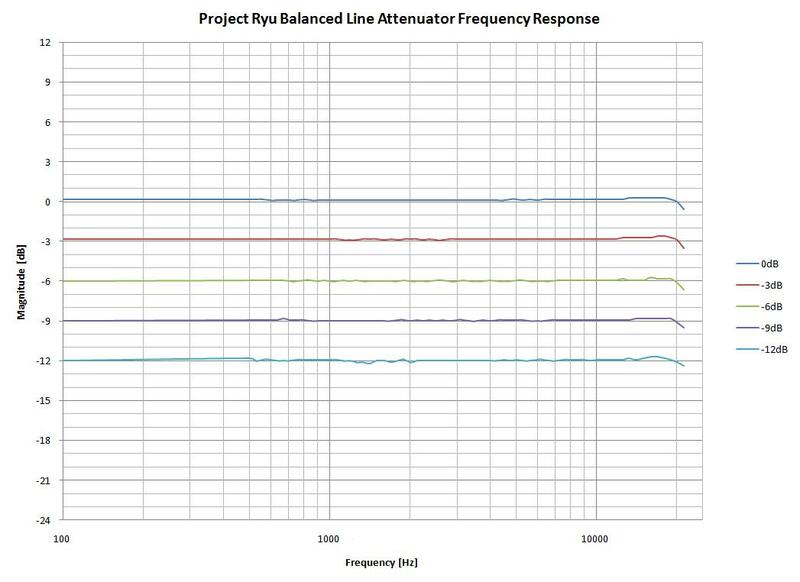 I do recommend a FET input opamp if R7 and R8 >= 100k as they tend to have lower noise than bipolar with high input impedance. 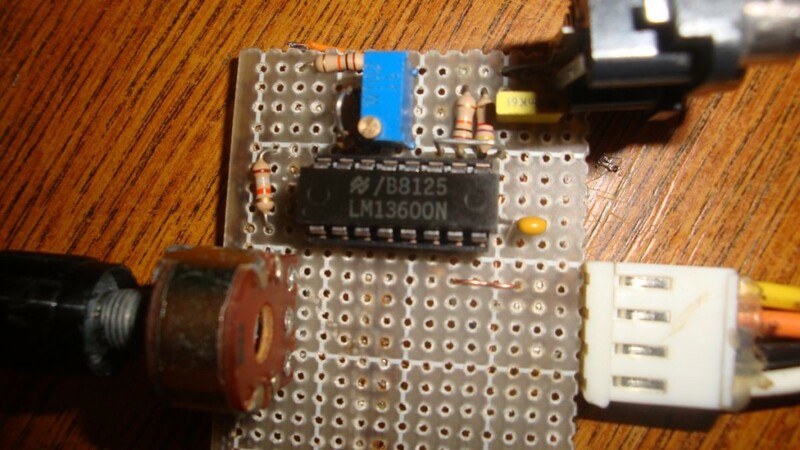 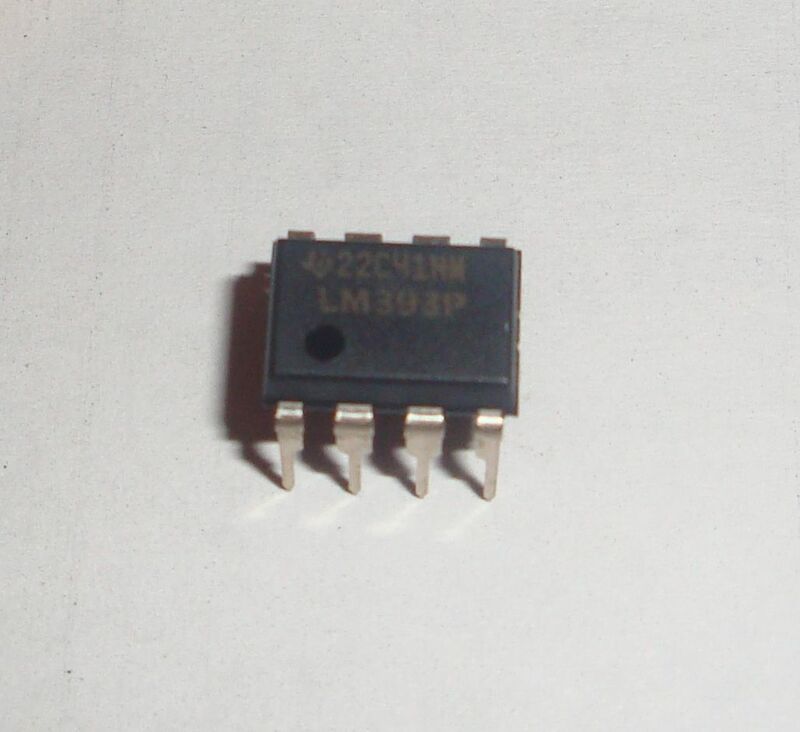 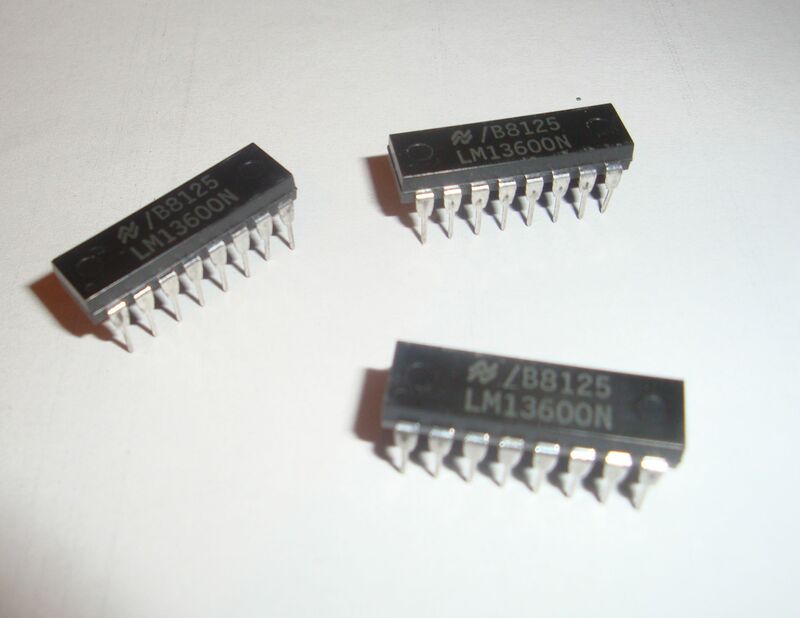 U2 i used a LM324 as it allows operation at 5V single supply. 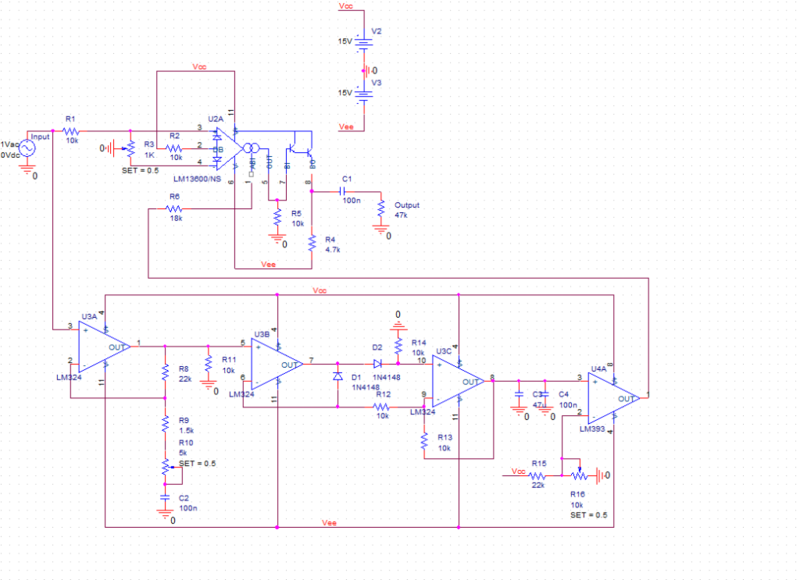 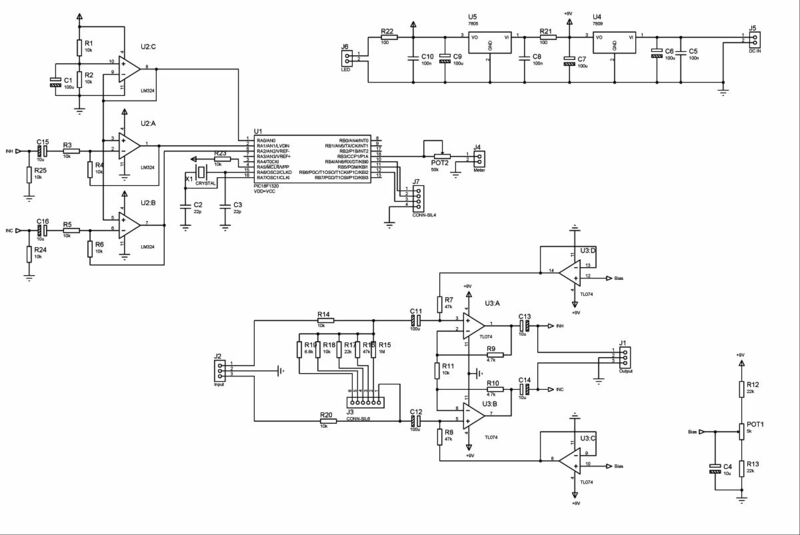 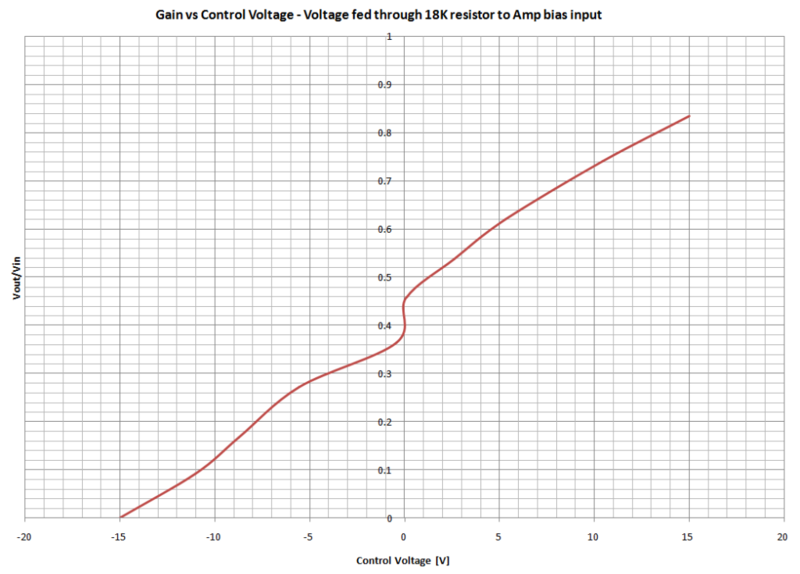 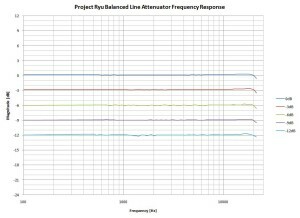 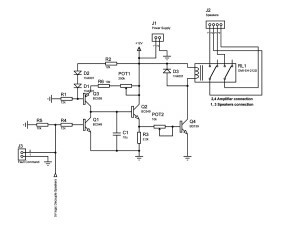 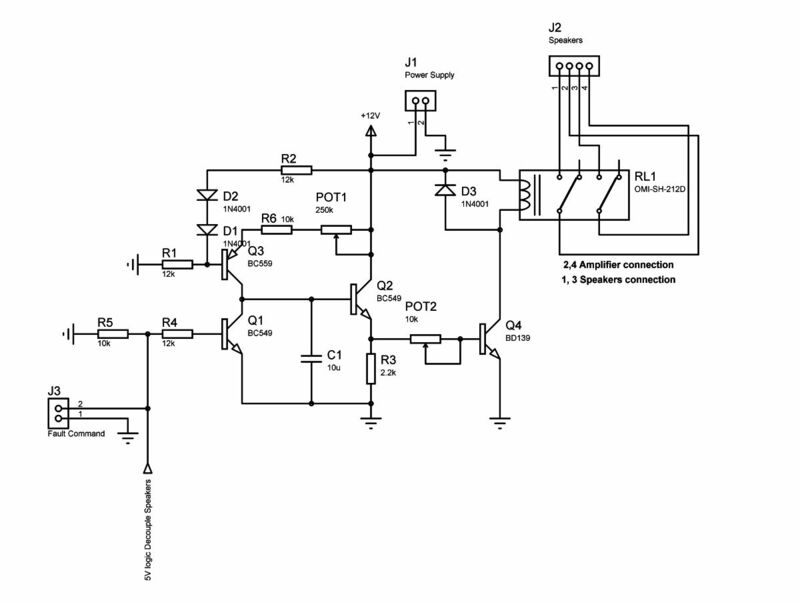 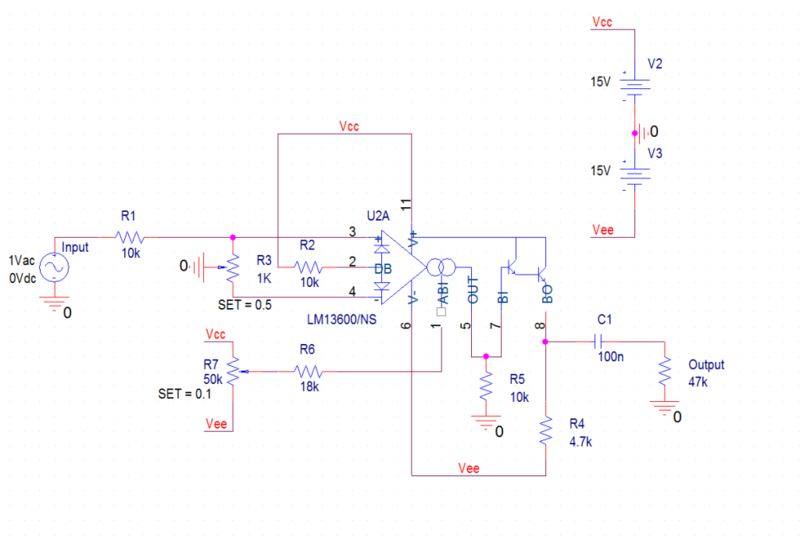 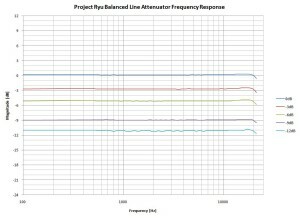 U2:C is used to bias the ADC inputs at 2.5V. 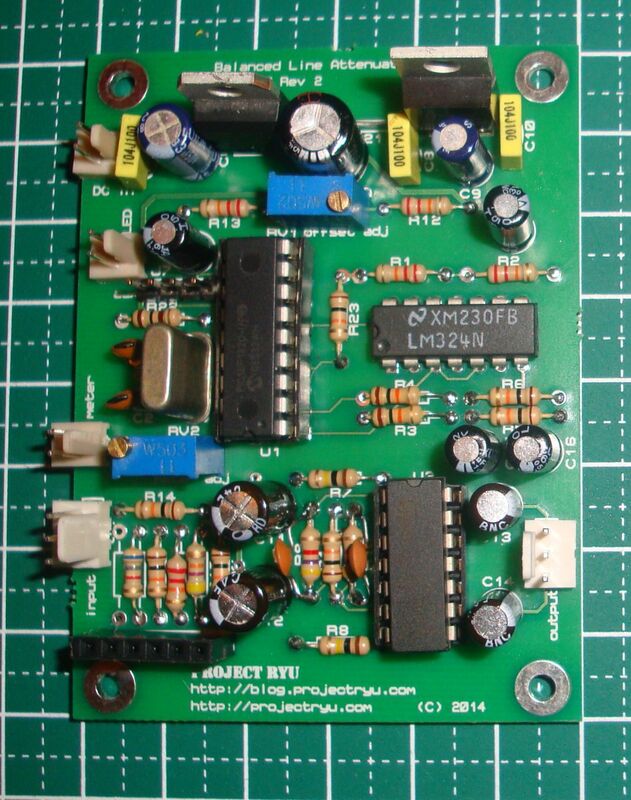 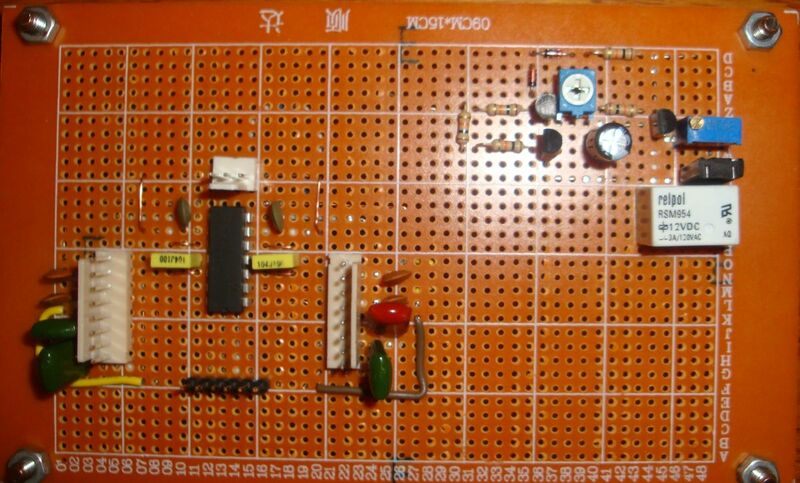 I will explain how to rectify the signal with a PIC in a future project but you will find the hex file for this one at the end of this article. 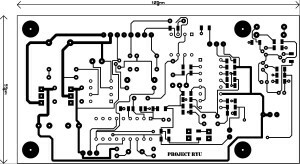 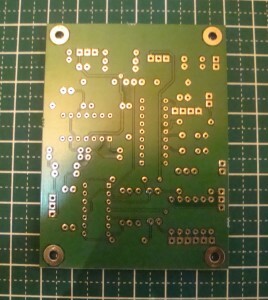 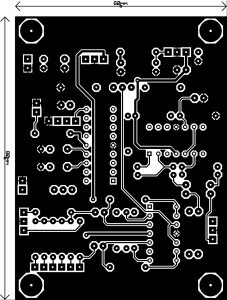 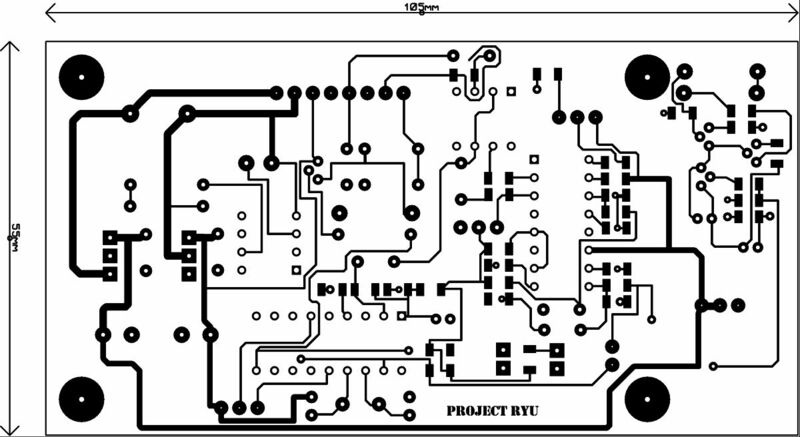 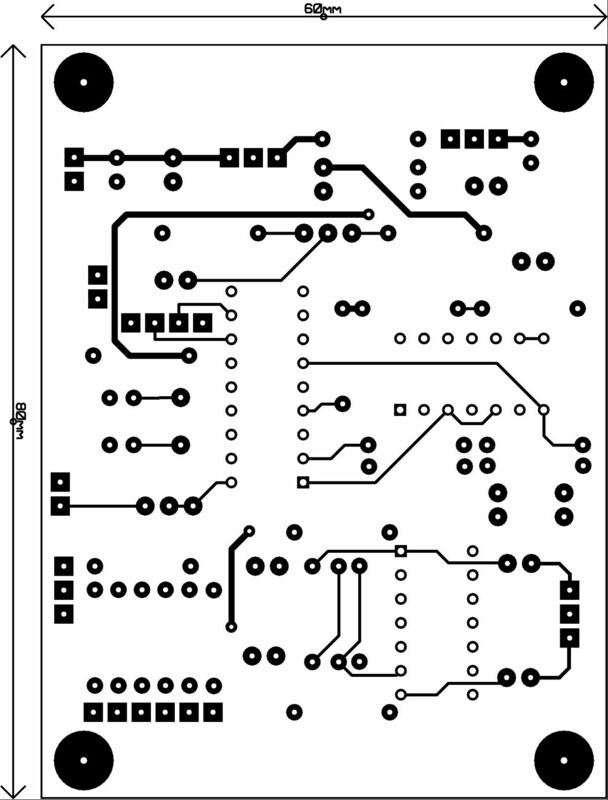 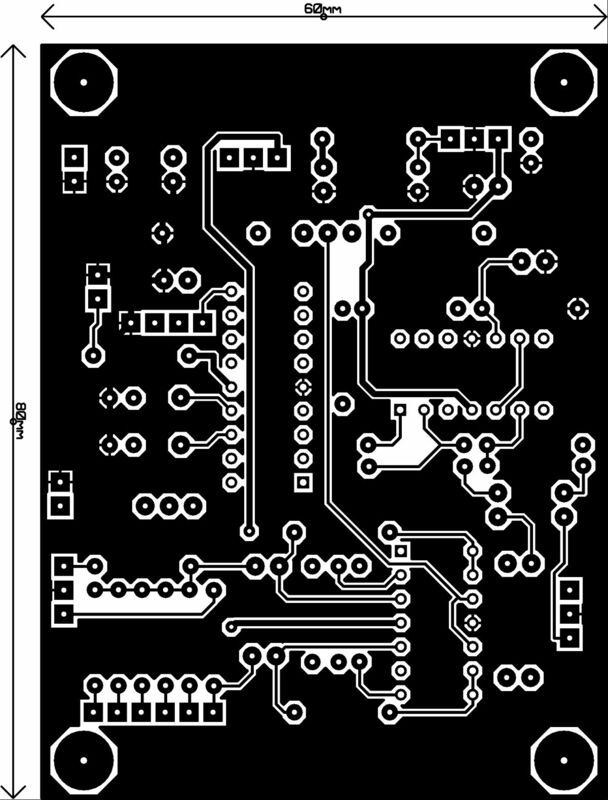 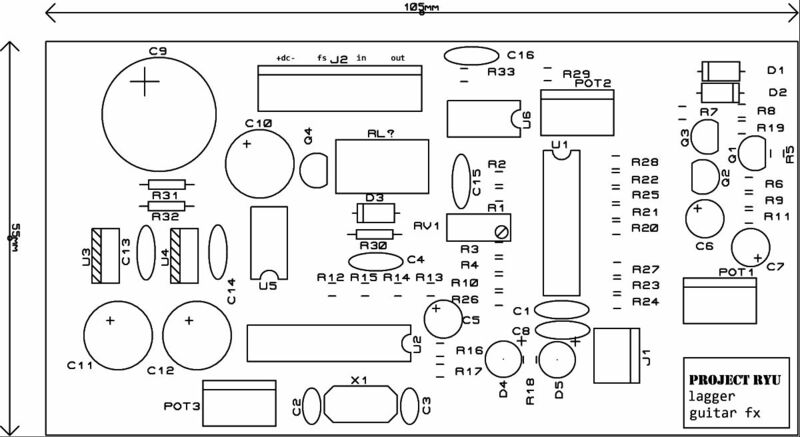 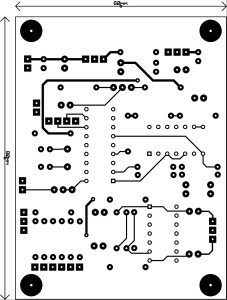 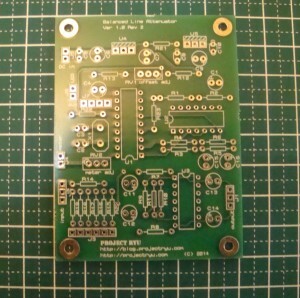 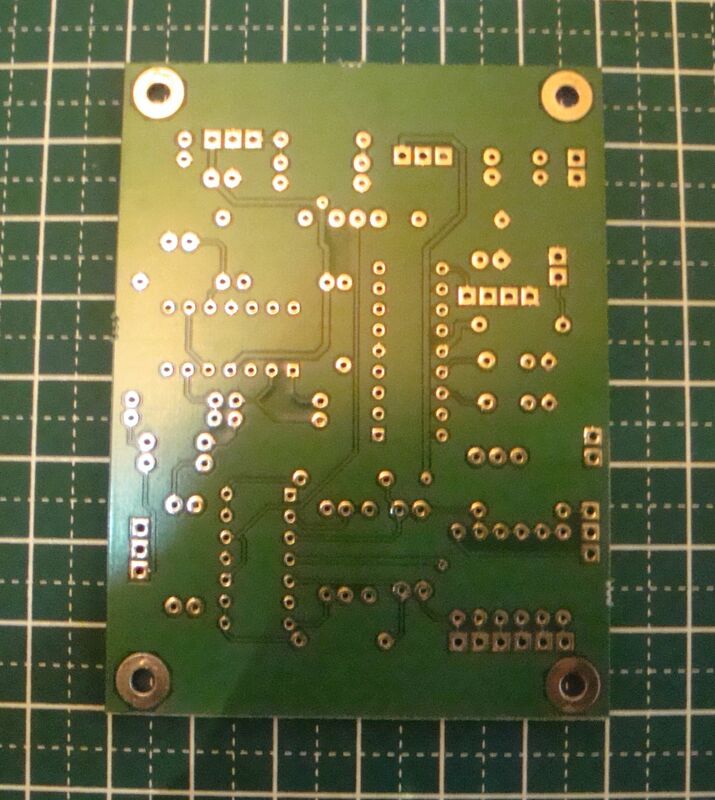 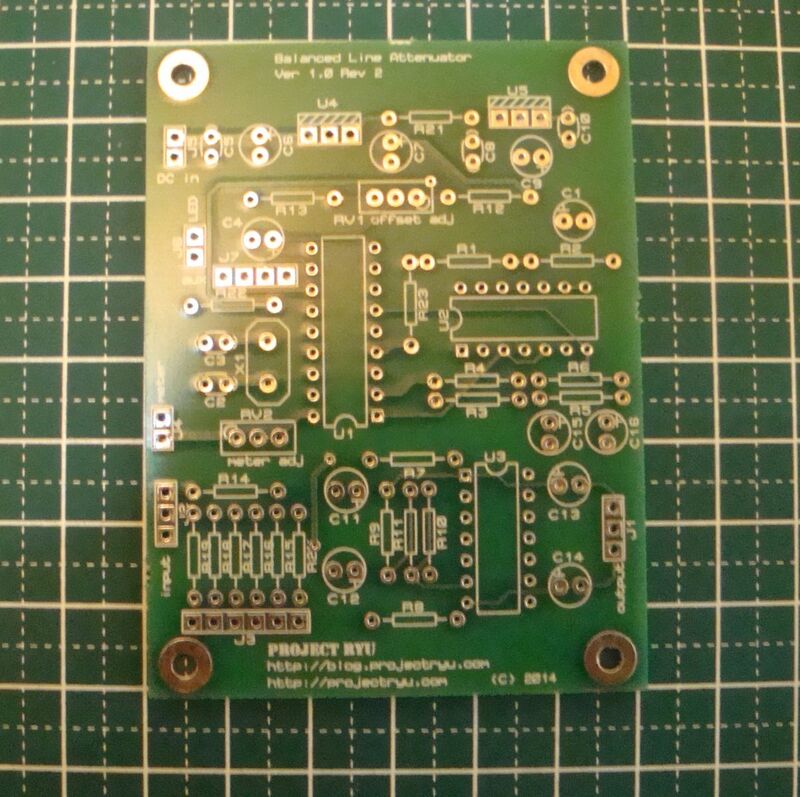 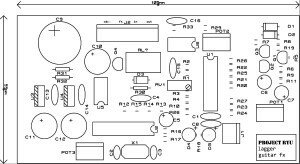 Warning: NONE of the PCB images are mirrored! 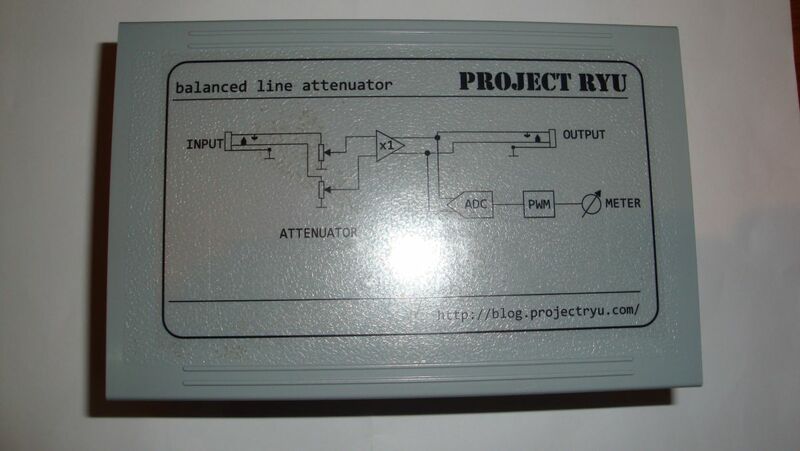 I used a rotary switch to select the attenuation levels. 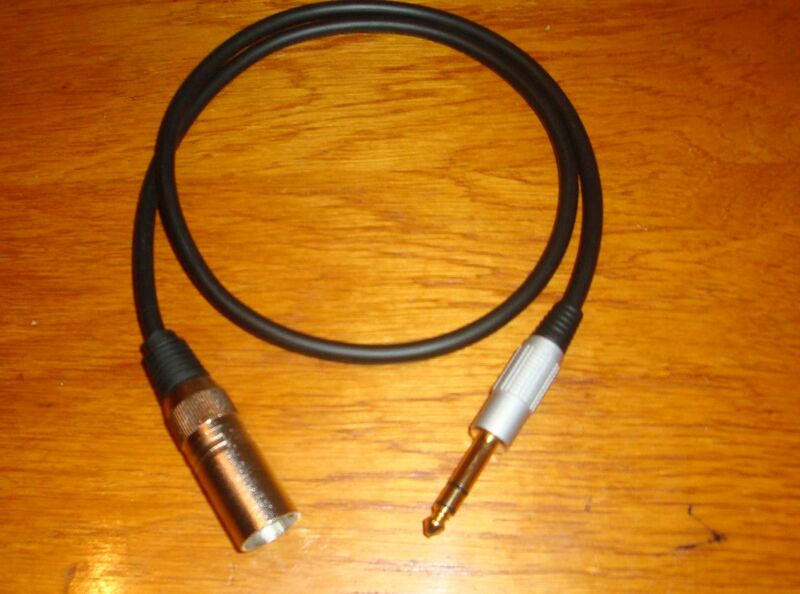 For 0dB you can just omit R15. Use POT2 to calibrate 0dB on your meter. 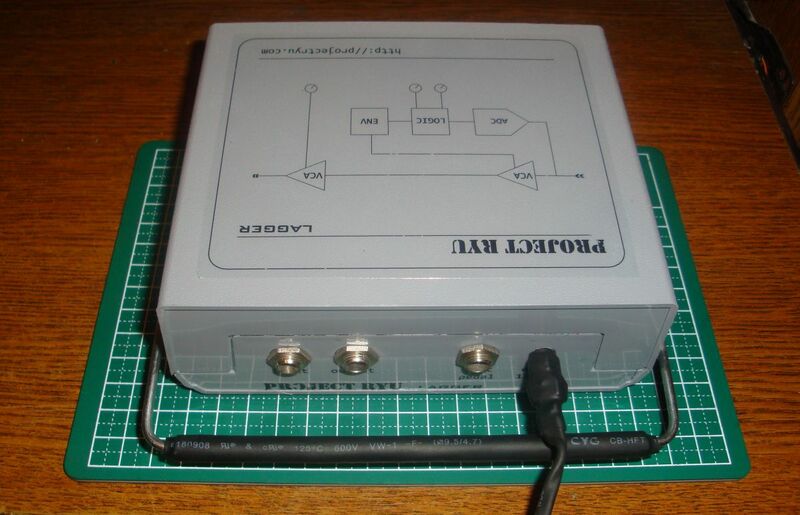 I usually set it to 0dBV. 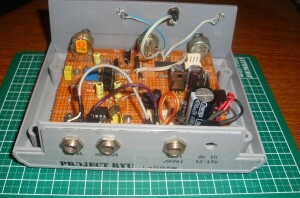 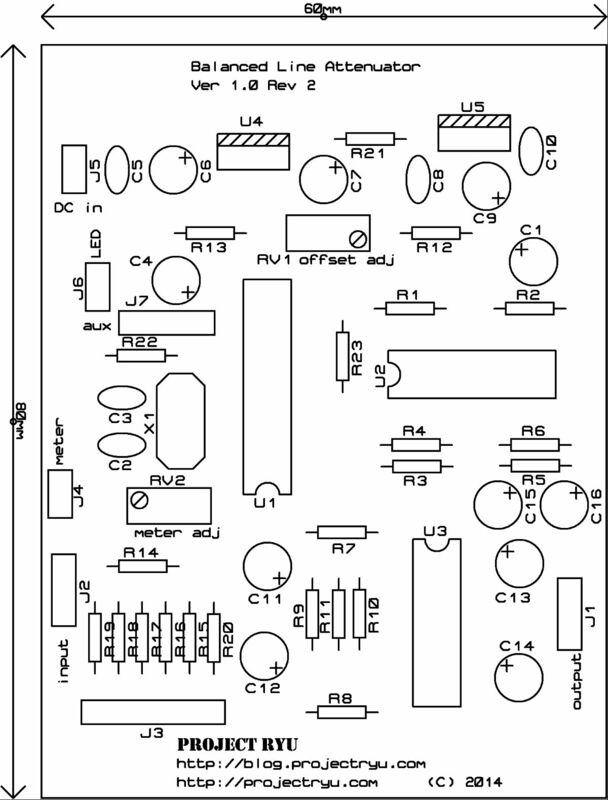 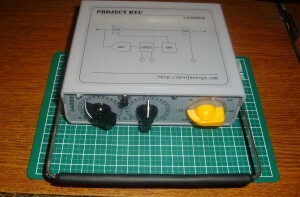 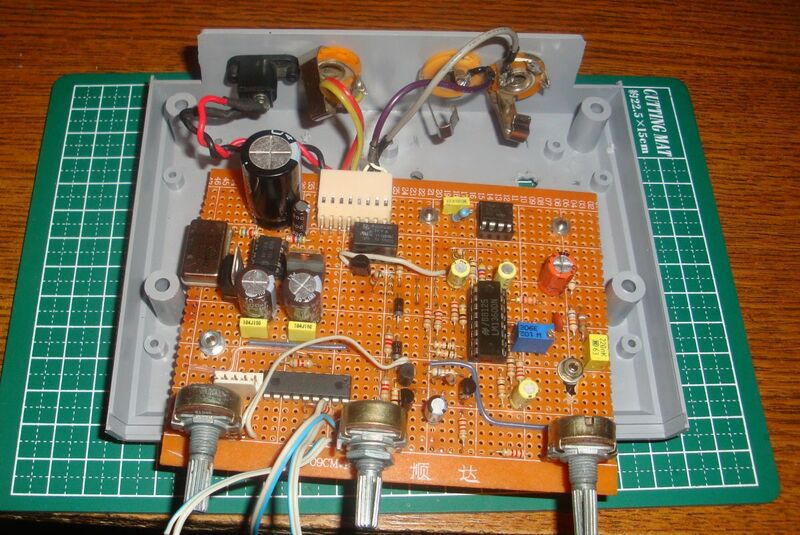 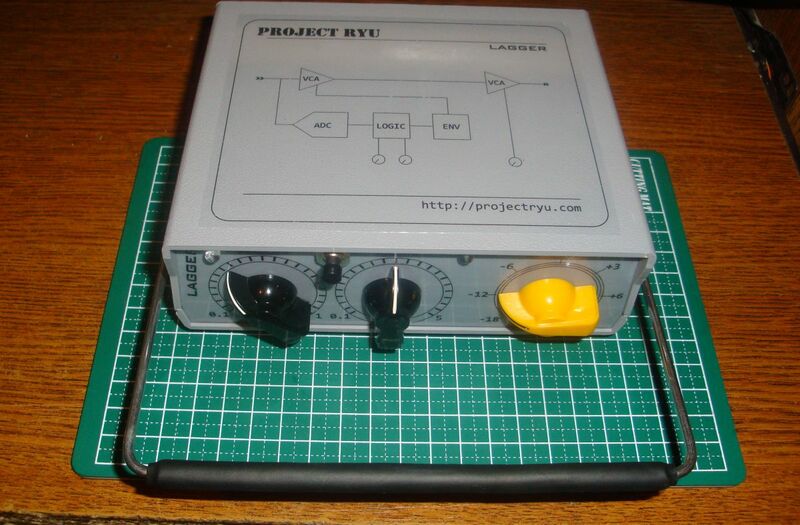 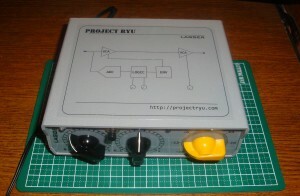 I will be making kits available for this device with PCBs and programmed microcontroller as well as fully built units. 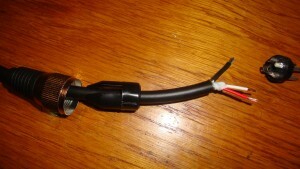 Please subscribe to receive more details about this offer in the next newsletter.